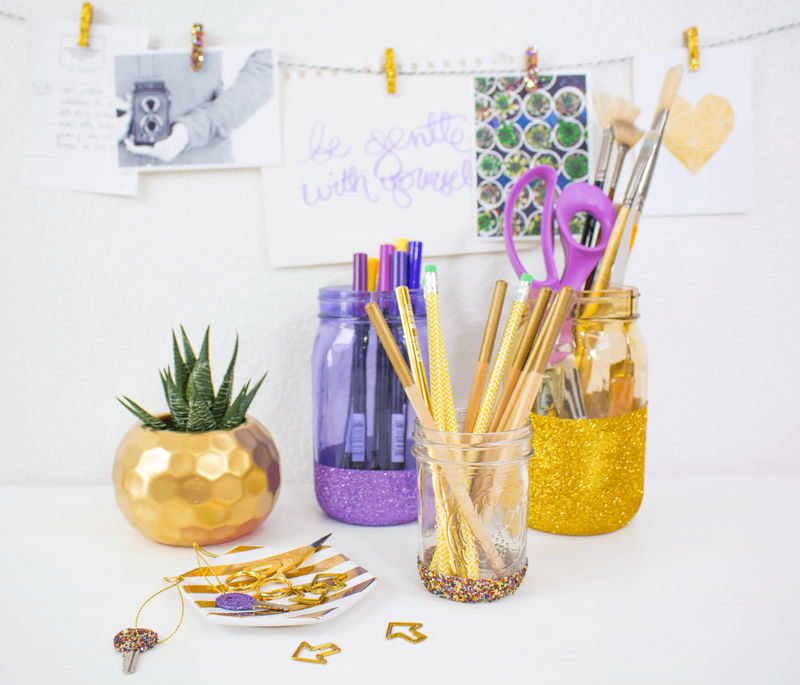 Organizing with glitter is the best way to start off the new year. 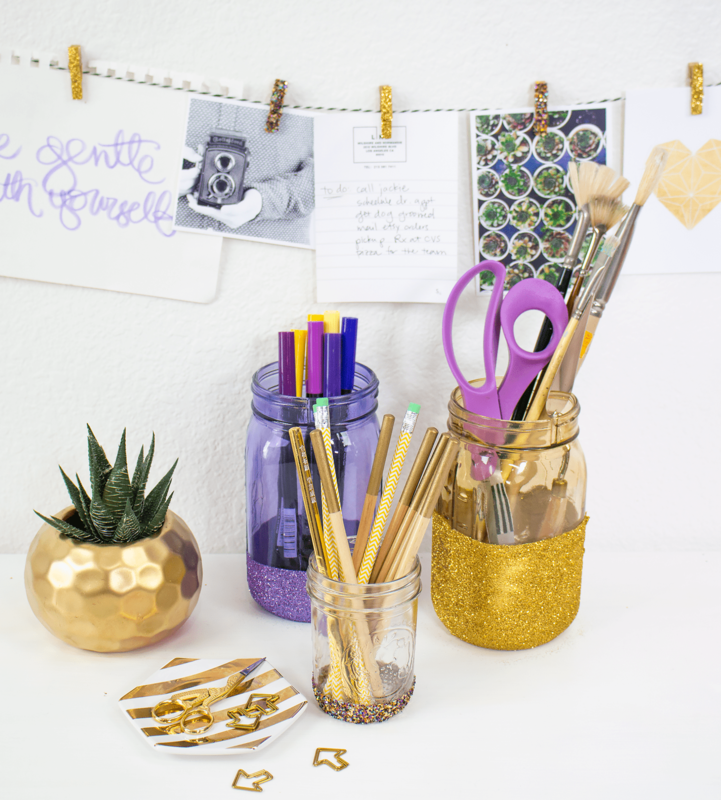 All you need to whip your desk into shape is Aleene's Tacky Glue and your favorite glitter. 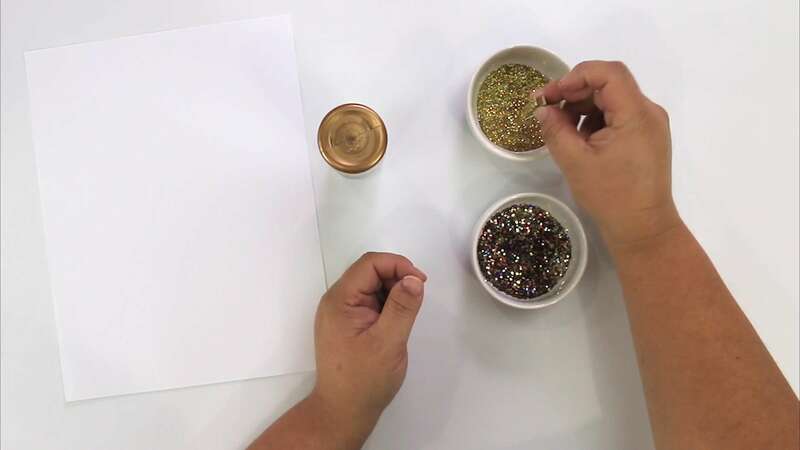 Chunky or multi-colored glitter looks great on these projects! 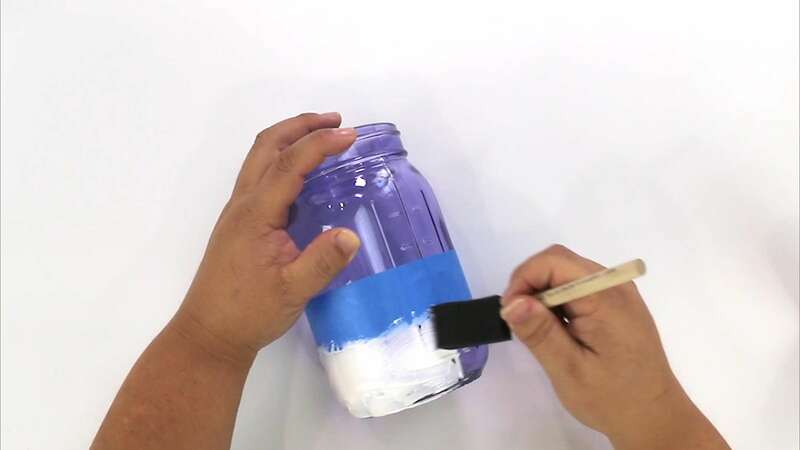 Wrap masking tape around the bottom of a jar. 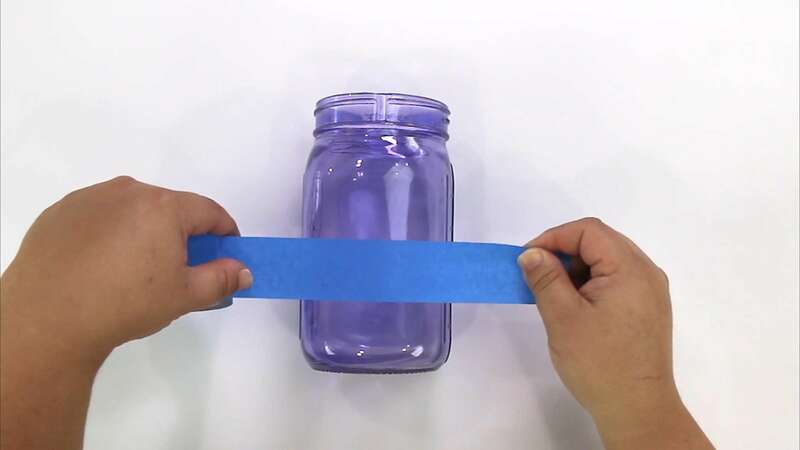 Play with height by wrapping some jars 1" from the bottom andothers as high as 4" from the bottom of the jar. 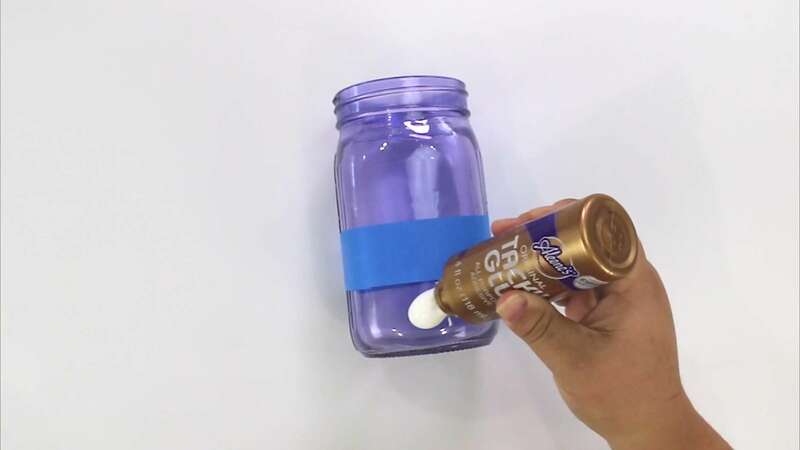 Add a dollop of Aleene's Tacky Glue to the jar, below the masking tape line. 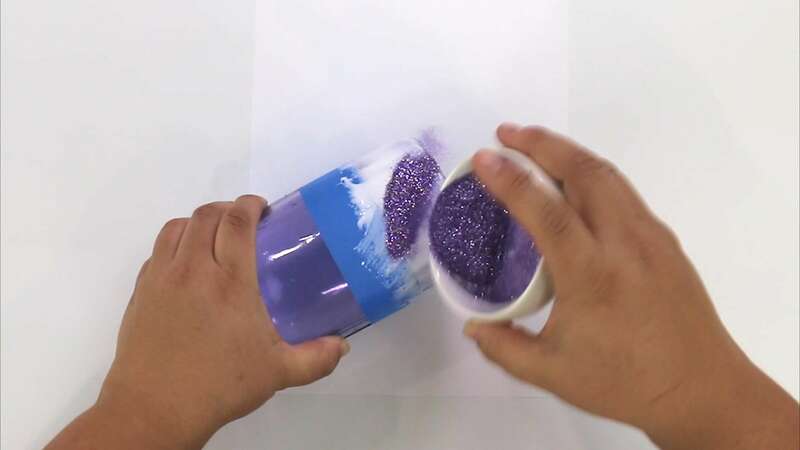 Use a foam brush to spread the glue all over the bottom area of the jar. 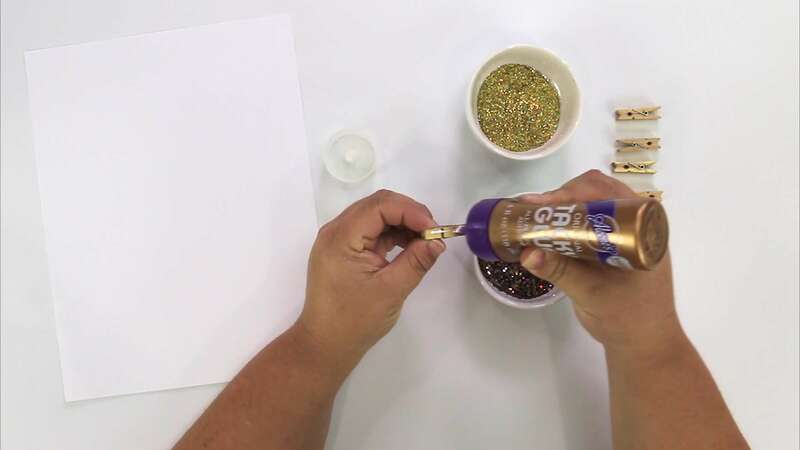 Sprinkle glitter onto the Aleene's Tacky Glue while still wet. Remove the masking tape and allow to dry. 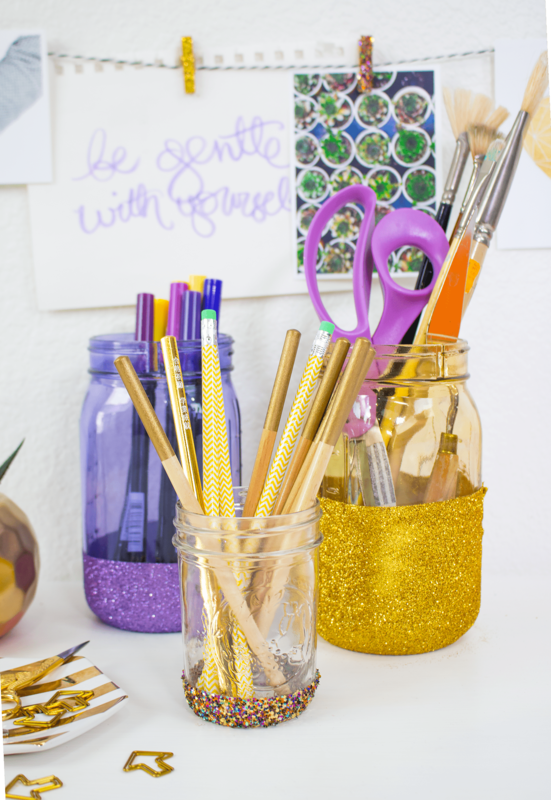 Store pencils, pens, markers, paint brushes, and more in the jars. 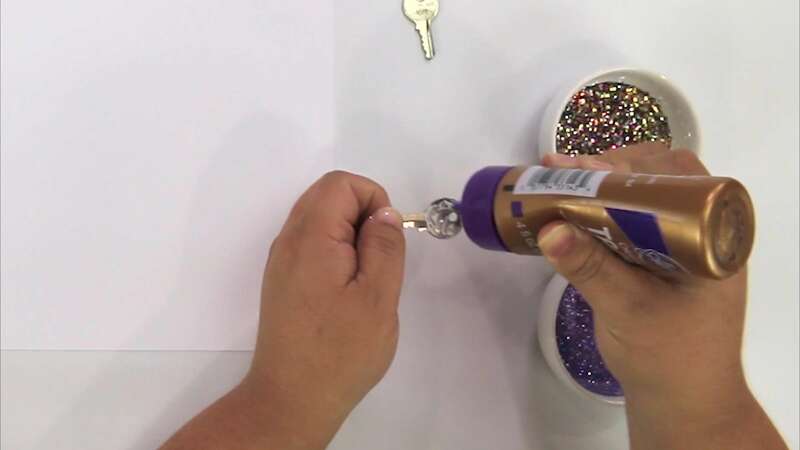 Apply Aleene's Tacky Glue to the top of a key to create a color-coded key set. 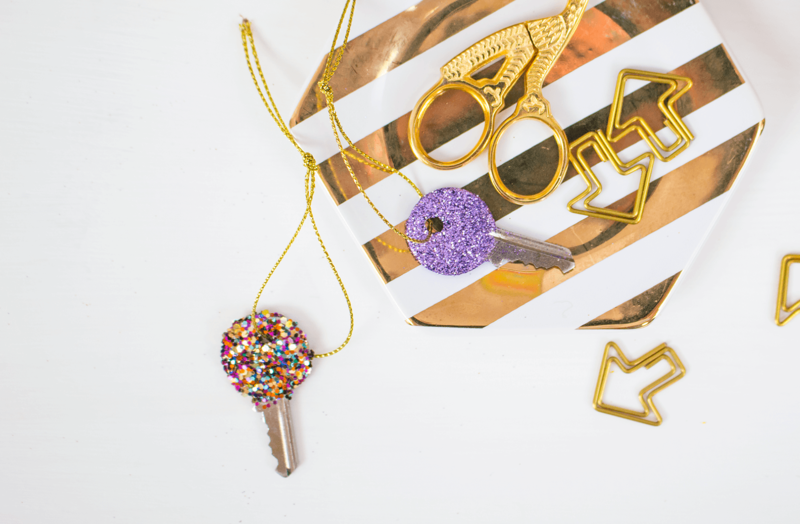 Dip the top of the key into glitter. Lay the key onto the printer paper to dry. Add string or keyrings to the keys. Apply Aleene's Tacky Glue to the flat side of clothespins and spread out with a foam brush. 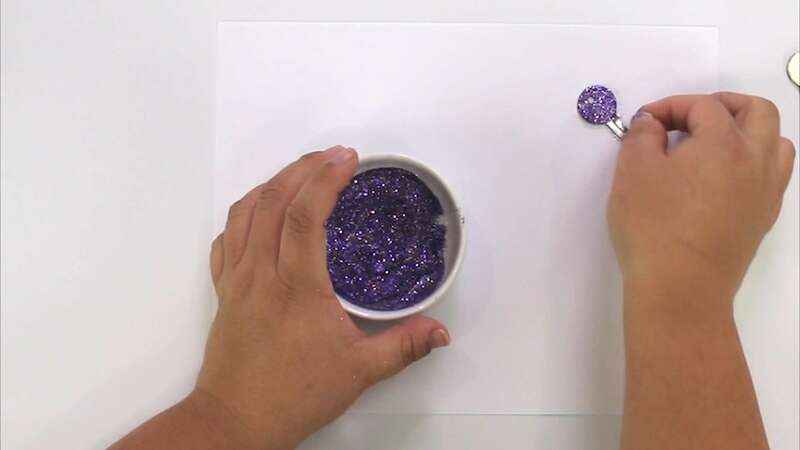 Dip the clothespins in glitter to coat. Set on paper to dry. String clothespins on twine, tacked onto the wall with push pins. 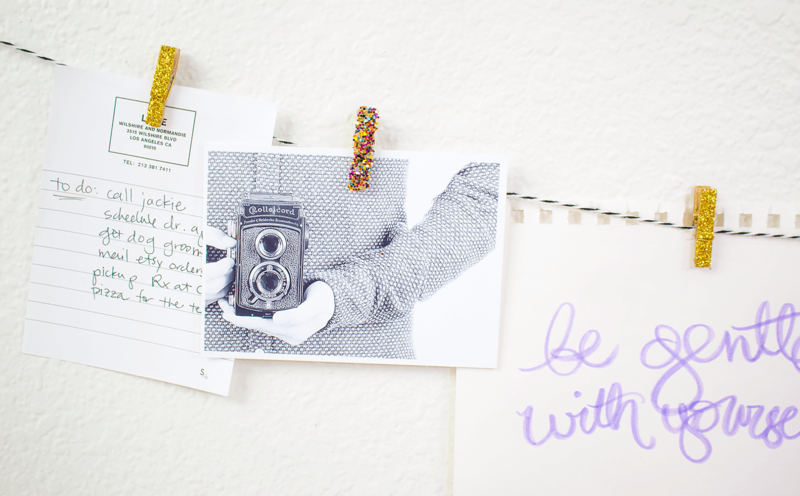 Hang notes, photos, and reminders with the clips. 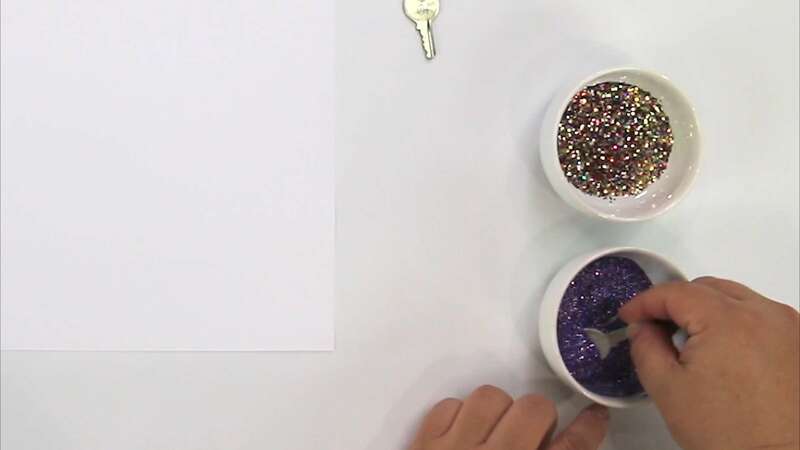 You'll have the best looking, most sparkly desk on the block with these 3 easy glitter projects!